we found out baby #2 was on the way, and wanted a bright, cheerful space for our daughter that wasn't too babyish or themed. all of the furniture is vintage and was purchased for just over $100. 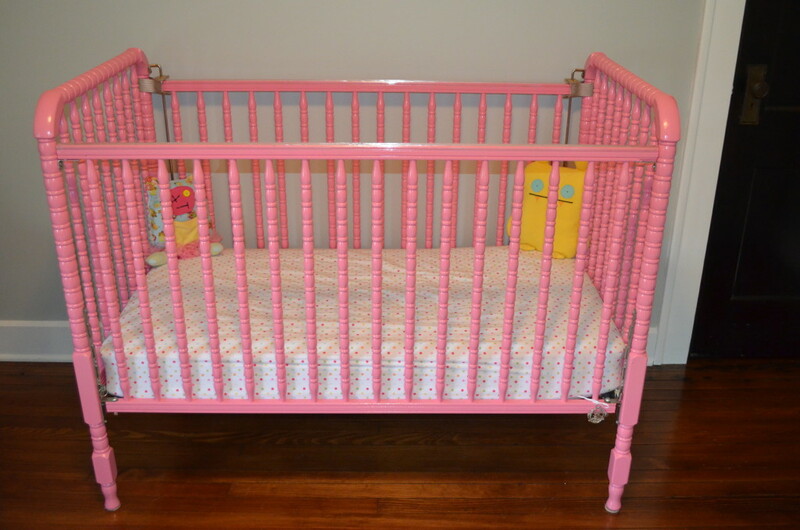 our daughter will be 21 months when baby #2 arrives, so we chose to buy a 2nd crib vs. move her into a bed. she is thrilled with her new space! the first piece we stumbled upon was the Jenny Lind crib. we knew immediately we wanted to paint it bright pink. the side chair became my favorite item. we stumbled upon it at a vintage arts marketplace and knew it would be perfect for her space. it is VERY comfortable and perfect for reading bedtime stories. don't be afraid of color! scour Craigslist. be patient. 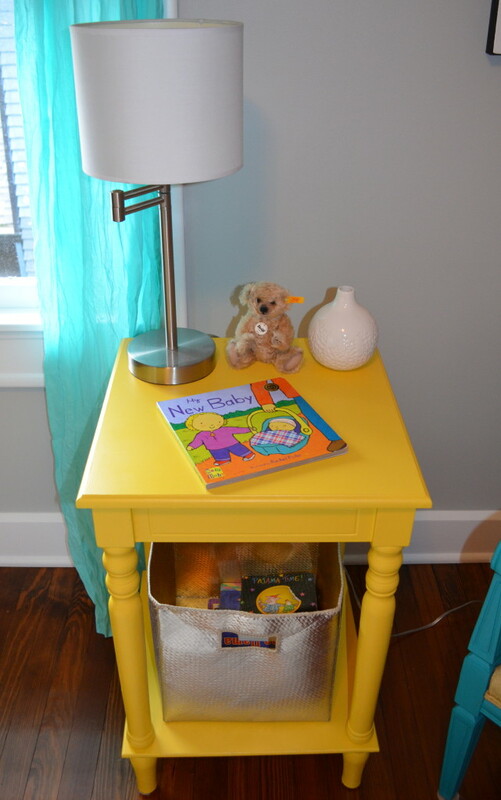 it is TOTALLY realistic to complete your dream nursery on a limited budget. enjoy the process & the finished product! Love the pops of aqua! I love all the pastel colors. It’s a fun, colorful and happy space. Kalia’s 2nd Birthday Dress Up Party!